Old map by BOOK OF HOURS - Page from a 15th. century Book of Hours. Title: Page from a 15th. century Book of Hours. Size: 7.1 x 5.0 inches. Condition: Very fine condition. Strong vellum, original margins. RECTO: 13 lines of text, written dark-brown ink, in a clear gothic book hand. With a large 3-line illuminated initial "D"eus... in burnished gold, infilled with flowers in colours. 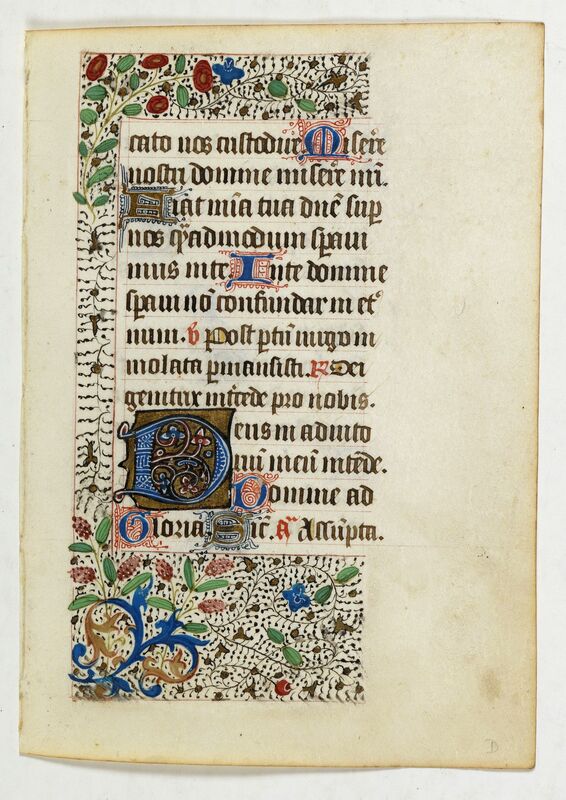 Illumination in the left- ,top- and bottom margins, of black pen work, very colourful flowers and acanthus leaves. Other gold and initials in blue with red pen work. The left leaf has four 1-line initials in gold and pen work. 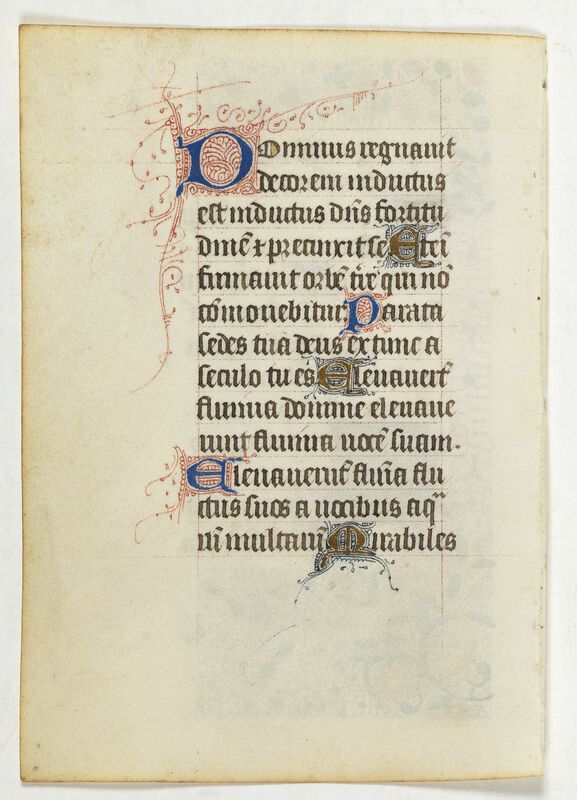 VERSO: One 2-line initial "Do"minus...., blue with red pen work into the margins six 1-line initials in burnished gold with pen work as on recto.